Please contact us with the contact form to report difficulties, strange behaviors or persistent problems, and quote the program name or the number 22312 . This is the download page for Copysafe Web - Copysafe Web is the most secure solution available to copy protect web pages and images from all methods of copy (including Printscreen and screen capture). 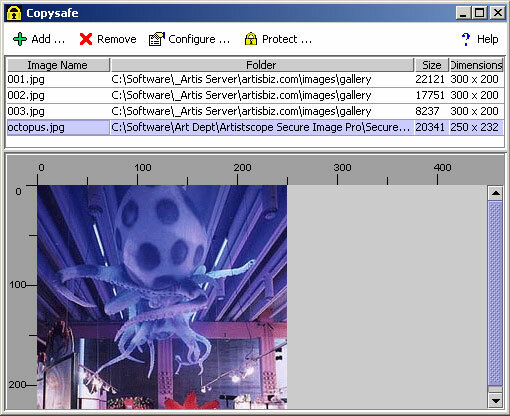 Copysafe Web includes all of the features found in Secure Image plus the Copysafe Web plugin to trap capture methods. Copysafe Web images and pages can be easily incorporated into all web projects for online catalogues, galleries, surveys, e-commerce and banking.